Learning Development Solutions to create a more engaged workplace to improve business results. The Learning Edge Inc. is a Canadian based learning and development firm. The Learning Edge’s training programs are presented to organizations who wish to have a solution customized to meet their specific needs. Our firm offers a broad range of business solutions through an extensive network of professionals qualified in their related work field. They have the expertise and experience that offers our clients the best possible learning and development solutions, all on the cutting edge of today’s business world. We accomplish this by analyzing our clients’ business needs, researching the most appropriate intervention and making a recommendation for an effective solution. Exploring ways to save you time and money in sourcing learning and development solutions. Identifying your specific needs and customizing solutions to realize your potential. Building a relationship with you so that on a long-term basis you have access to a network of experienced trainers and consultants. Minimizing your risk in selecting a professional, as we are familiar with each of our facilitators’ and consultants’ specific areas of expertise. Researching to bring you the most innovative solutions in the marketplace. Sharing best practices of how our solutions have been successfully applied. Earning your trust with every interaction we have with you. 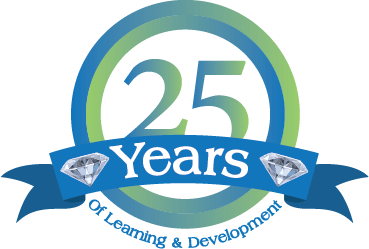 The Learning Edge’s logo, a diamond, not only symbolizes quality and value, but also is distinctive in a personal sense. A diamond is a piece of coal made while under pressure, and Denise, a coal miner’s daughter, knows The Learning Edge Inc. should only further enhance the high quality of services they already provide with the added pressures of entrepreneurship. 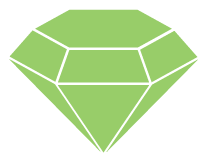 There are four distinct criteria a jeweler observes while grading a diamond, and research determines the same criteria apply in a business environment as well. Provide employees with a role model, highlighting the importance of your values by walking the talk and leading by example. Ensure employees have clear understanding, creating dialogue about what matters in the organization. Connecting with employees while encouraging relationship building, enhancing their engagement in the organization. Motivating and encouraging employees to strive for their best, and to recognize and value their own contributions. “We chose Denise and The Learning Edge because of the depth and breadth of experience and exposure using the DiSC® tool and the flexible full meal deal- everything from profiles, to customizing interventions for particular needs, train the trainer services, 363 consulting offer. We have just run our first TTT session and comments from our participants were that they were “blown away” by how open and sharing Denise was of her tacit knowledge, tips, and tools- her trade secrets from working with DiSC® profiles for so long. Behind Denise is a deep bench of qualified facilitators and consultants to support the work that needs to be done. “A cornerstone of credit union’s competitive advantages is entrenched in building deep and meaningful trusted relationships with members and internally with each other. The Learning Edge has a broad range of solutions to support rich learning about relationships for diverse groups of staff and leadership CCUA Cusource enjoys a strong partnership with The Learning Edge and flexibility that the offerings give to respond to ever-changing needs.